Hear ye, hear ye: A new power couple is coming to Hulu’s acclaimed series, The Handmaid’s Tale. 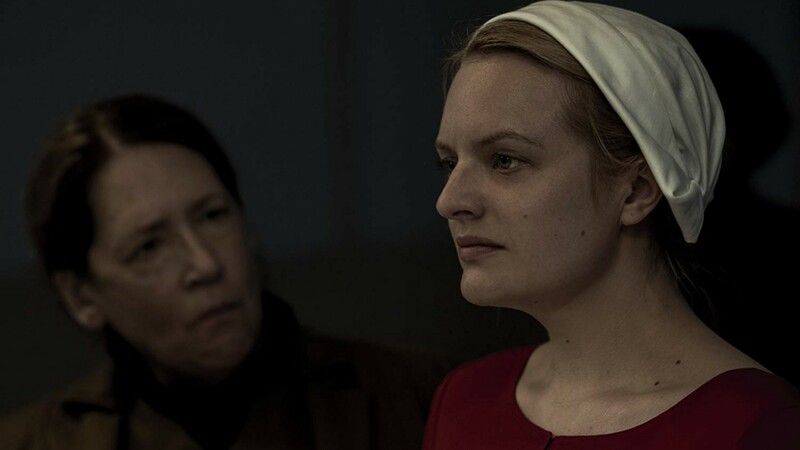 With season three on the horizon (but no official premiere date announced), we learned on Thursday that Elizabeth Reaser and Christopher Meloni will guest star on The Handmaid’s Tale. It’s one of the latest developments in the upcoming season, and the details about the roles these veteran actors will be playing are very interesting. According to Variety’s report, Meloni will be playing Commander Winslow, a “powerful and magnetic commander who hosts the Waterfords on an important trip.” Reaser will be playing Mrs. Winslow, “who becomes a ‘friend and inspiration'” to Serena Joy. There are no further details about which episode Meloni and Reaser will show up in or how long their arc on the season will be. That said, we can’t wait to see these two in action, especially Meloni, a TV veteran who consistently makes daring choices in the roles he takes (see: Syfy’s Happy! for proof of that) and consistently wows us with his skills. Even though the details are scarce about Meloni and Reaser’s time on the show, it’s interesting they’ll appear as hosts to Commander Waterford (played by Joseph Fiennes) and his wife, Serena Joy (Yvonne Strahovski), during a trip. Where will the Waterfords be going? What kind of business is going to happen on this trip? Considering the host is another commander, we might be able to guess season three will take us to a new part of Gilead that we haven’t seen before; could The Handmaid’s Tale go west? We’ll have to wait and see. The Handmaid’s Tale left us in an unusual place at the end of season two. June (Elisabeth Moss) was able to get Emily (Alexis Bledel) and June’s baby out of Gilead courtesy of Commander Lawrence (Bradley Whitford) while she unexpectedly stayed behind. Fans can expect to see June trying to dismantle the literal patriarchy from within, likely building a rebellion among those in Gilead who can’t afford to flee. We can’t wait to see how this all shakes out when season three arrives on Hulu, likely sometime in 2019.